Sam Sternberg of the Doudna lab at UC Berkeley asked for our help illustrating the function of a genome editing tool known as CRISPR (short for "clustered regularly-interspaced short palindromic repeats"). Their paper had been accepted for publication by Nature magazine and they wanted to submit an illustration to be considered for the cover. 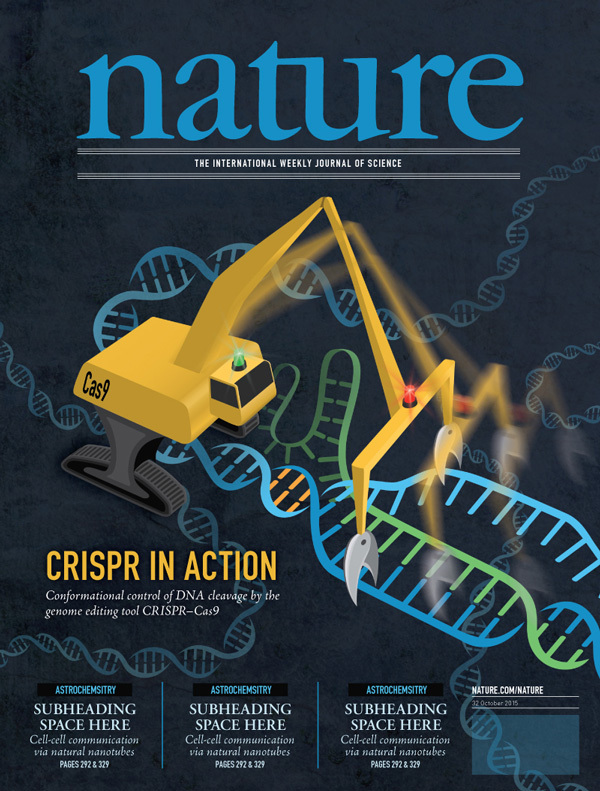 The article highlighted the dynamic nature of Cas9 protein within CRISPR. It was an interesting challenge, as usual, to create an abstraction of what's really going on that was both visually interesting and as accurate as possible. It didn't ultimately get chosen for the cover, but we were all happy with the final illustration.